Suppose we want to translate reactive plugin in the Dutch language. Create a .po file for the Dutch language from reactive.pot(plugins->reactive->languages) file with Poedit software. Now your Translations are done. 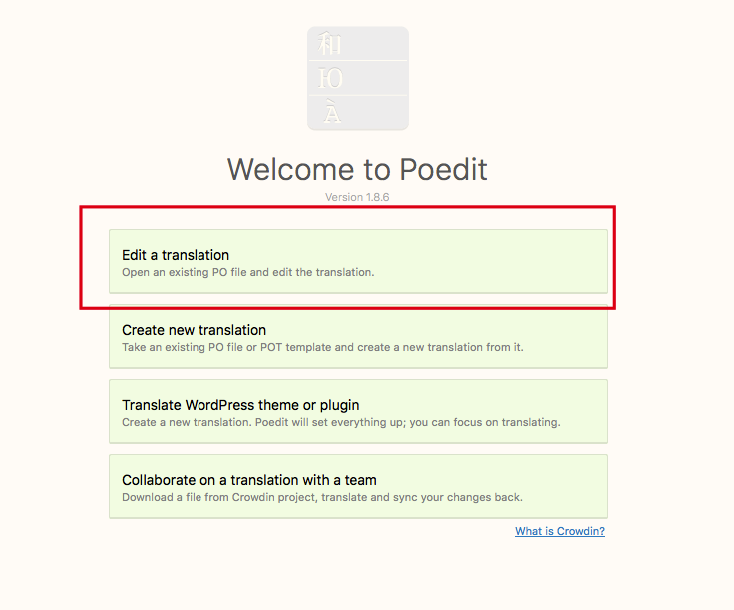 Update an existing .po file using Poedit software. Then open your .po file from reactive plugin&apos;s languages directory. Click `Update from POT file` from Catalog menu of Poedit software. Now you get all updated translated strings from .pot file. Now go one by one and translated the non-translated strings using the poedit software.